Still using routers at cell sites or the customer premises? 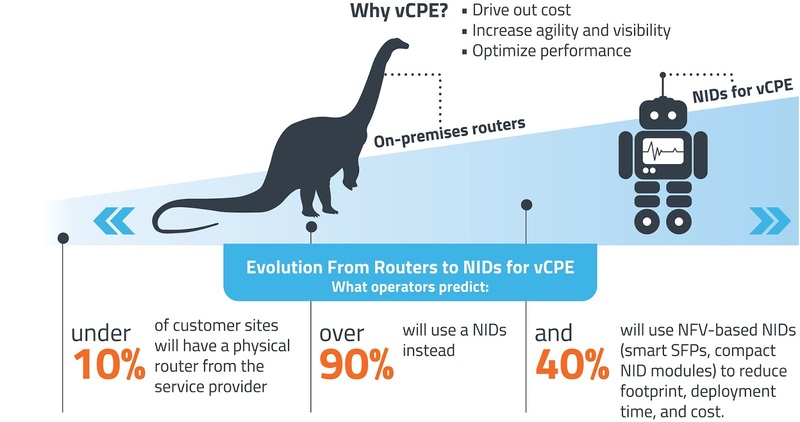 Are routers facing extinction at the customer site? Watch our video to learn more..
A recent Heavy Reading survey of the Carrier Ethernet market highlighted an important trend: on-premises routers are being phased out in favor of NFV-based network interface devices (NIDs) to reduce footprint, deployment time, and cost. 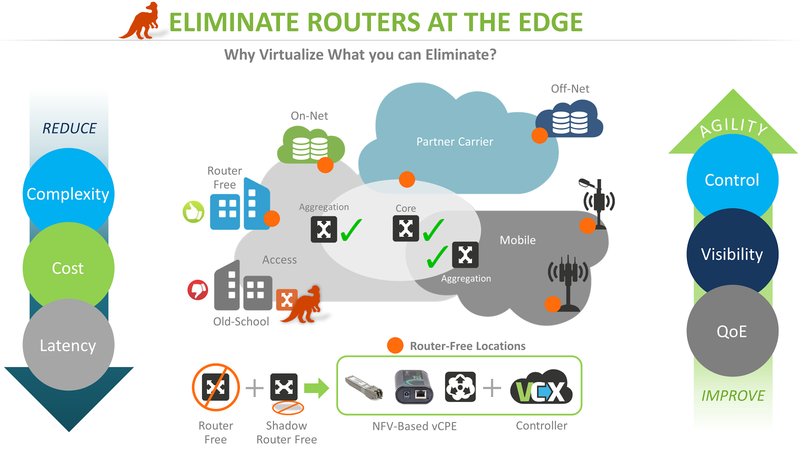 Not only can routers be virtualized on-site or off, but they can be eliminated altogether by allowing core and aggregation routers to do the work—if traffic is properly prioritized, and performance is established and assured by a programmable, small form factor (SFP) virtualized customer premises equipment (vCPE) module at the site location. vCPE modules are low-power, take up very little physical footprint, and are centrally-controlled—all characteristics that make them well-suited for locations like cell sites with limited room and power, or remote branch offices that are expensive to service with a truck-roll. 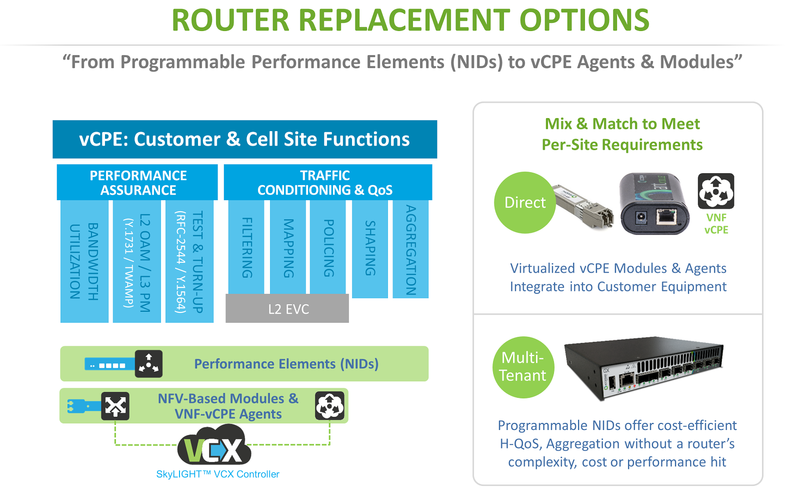 Embracing vCPE modules like Accedian’s GbE antMODULE™ or Nano Smart SFP is a cost-efficient approach for many applications, including data center connectivity/cloud service brokerage, financial WAN, business services over DOCSIS (BSoD), small cell/HetNet greenfield roll-outs, LTE expansion with new macro-site roll-out, and migration from GbE to 10GbE macro site connectivity. When they supplant more expensive, less adaptable routers, modules improve control, drive down costs, and optimize performance and customer quality of experience (QoE). This makes modules an important part of any operator’s strategy to sustain end-to-end visibility, gain control over evolving networks, and deliver premium QoE to differentiate themselves.